I LOVE this website and I just had to share! 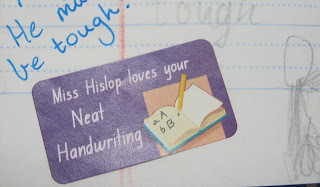 I am a stickler for always making sure I acknowledge every piece of work the children complete – whether it be a check, smiley face, stamp or sticker, they have taken the time to do the work, and I need to acknowledge how hard they have worked. Because of this, I got through a few stickers and I must say, out of all my stickers, these are my favourite! Oh wow! I love it, definitely going to check it out, thanks Alison.